Entering MoMA in New York, and standing in the hall of the museum, before starting the visit of its wonderful collections, is in itself a particularly striking sensorial experience. The visitor is in fact immersed in a huge white cube, a typology of museum architecture that became characteristic of many museums and galleries of contemporary art right after the example of MoMa, and that allows to broadly enjoy both works of art and exhibition spaces. According to this clear and minimalist museum display, in which paintings, sculptures, photographs and video emerge out of pure white walls, accompanied only by their captions, the lack of any technological device, or at least of a textual apparatus that guides the viewer in his visit to the vast and varied collection of MoMA, especially given the complexity of some conceptual works exhibited, is surprising. In reality, the dilemma is quickly solved if you download on your Smartphone or IPad the MoMa App or if you just stop in the hall of the museum to ask for the mobile audio guide tours service, which comes for free together with the museum ticket. 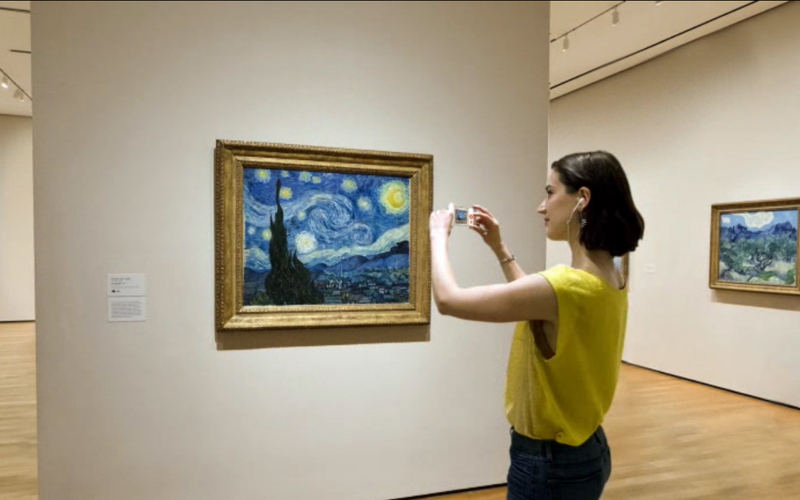 This seems to be a quite normal practice, since today the audio guide is a tool largely widespread in most museums in the world, but in the case of MoMa the service is truly amazing and much better than traditional audio guide services. 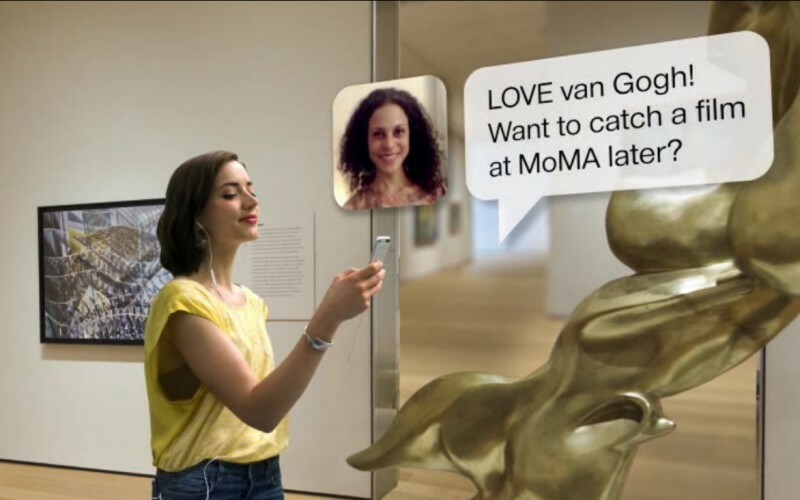 In order to better understand the level of sophistication of MoMa digital technology it needs to be pointed out that in the American world, and particularly in New York, people spend most of their time out of home and, consequently, the Smartphone is the main communication tool they have. Consequently the technology is one of the fundamental pillars of this society, where communication takes place mainly through email, messages and social networks. The audio guide of MoMA is an excellent tool because it offers not only an educational experience, but also a sensorial and emotional one, and it does so in a totally non-invasive way. The visitor in fact has the opportunity to choose between various options (offered in several languages), ranging from the historical and artistic explanation of a specific work, provided by one of the curators of the museum, to the comment on the technical realization of the work and the detailed description of “what do I see,” which is something visitors often wonder, especially in the case of works of abstract art. A section of the audio guide is specifically dedicated to kids, with simplified explanations of the works in the collection, which include interesting anecdotes and stories related to the represented artists. The MoMa audio guide offers an original facility, which is very much in line with the dynamics of today’s communication: the possibility of sharing with friends the works of the museum collection which the visitors found more relevant during their visit, according to their personal tastes. They only have to select them on the audio guide and send them via email or through the social networks (Facebook, Twitter) to a friend, and they can also include a personal message, “I have been to MoMA and …”. Visitors can also create their own playlist of favorite works and send it to their own email address, thus avoiding the need of photographing the works and especially avoiding works to be damaged by photographs with flash. 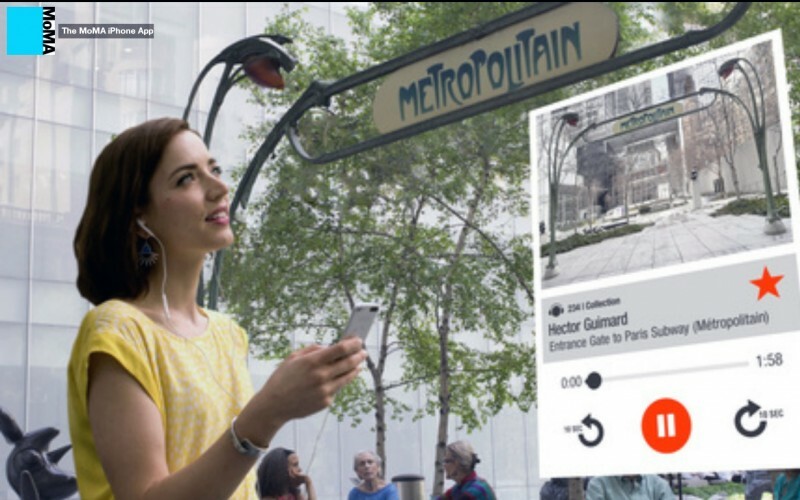 The great and meticulous attention to digital technology that MoMA dedicates to the care and spread of the public image of its collection with the audio guide system is also reflected on the site of the museum. The user can access real-time not only almost the entire collection through a simple click, searching the works (including new acquisitions) by artist, by period or by technique, but he can also view videos of the past and present exhibition and send to his friends some virtual postcards with works from the collection already subdivided according to specific art themes for specific celebrations. The website also includes a specific section for kids and for the art lovers there is also a dictionary area where artistic movements such as the Cubism and the Expressionism are explained in detail, as well as a section where the user can follow via video the MoMa talks, where different aspects of the galleries of the museum are analyzed.